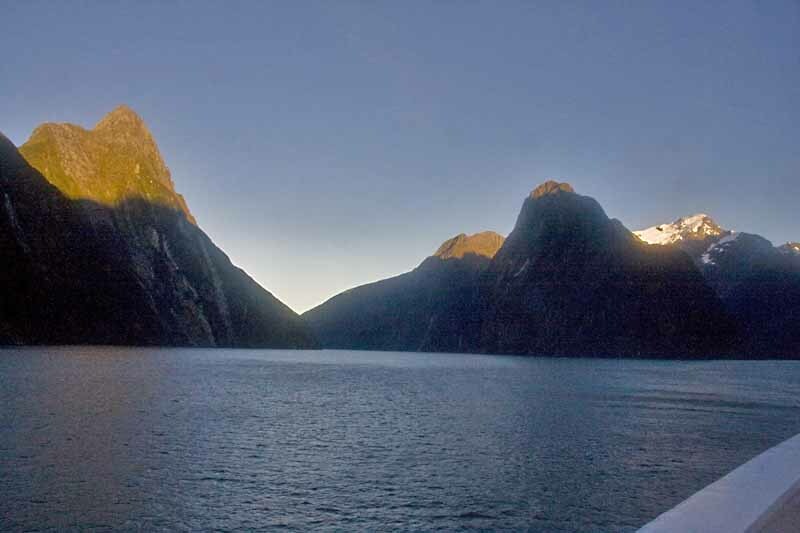 The Maori name for Milford Sound is Piopiotahi and the place figures in the Maori legend of the creation of New Zealand. Rudyard Kipling called it the Eighth Wonder of the World. Today it is part of the Fjordland National Park and the Te Wajhipounamu World Heritage Site. 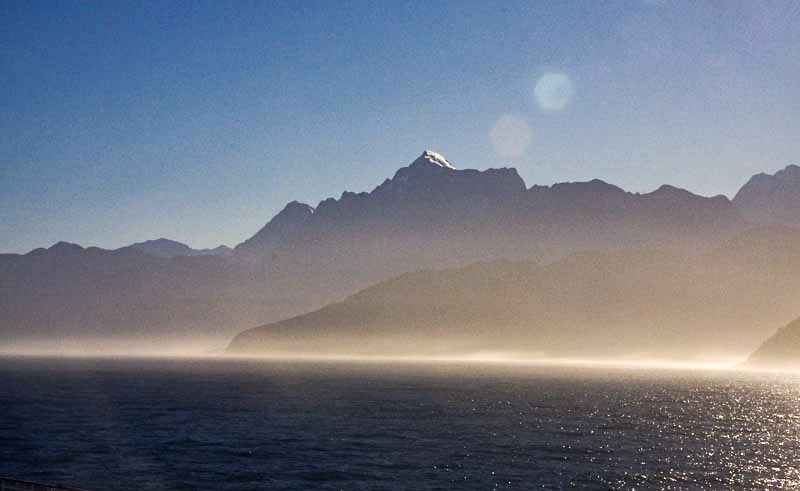 The earliest European explorers did not discover Milford Sound because the entrance was difficult to see and even when noticed did not appear to be inviting enough for a sailing ship to enter. It was not until about 1812 that a Welsh sealer named Captain John Grono entered it and, struck by it's beauty, named it Milford Haven. A few years later the name was changed to Milford Sound. In 1888, tourism started overland and large numbers of people began visiting the area. 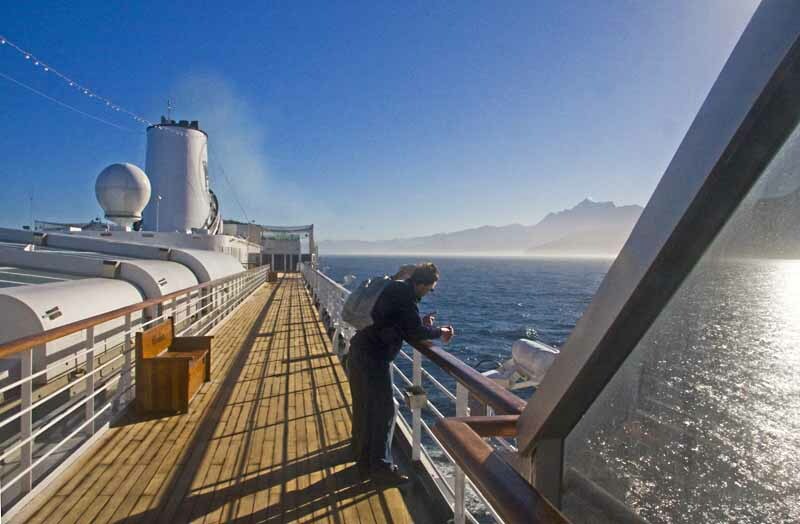 Today, cruise ships regularly include it in their itineraries and it is estimated that over 550,000 people visit each year. As such it is New Zealand's most popular tourist destination. 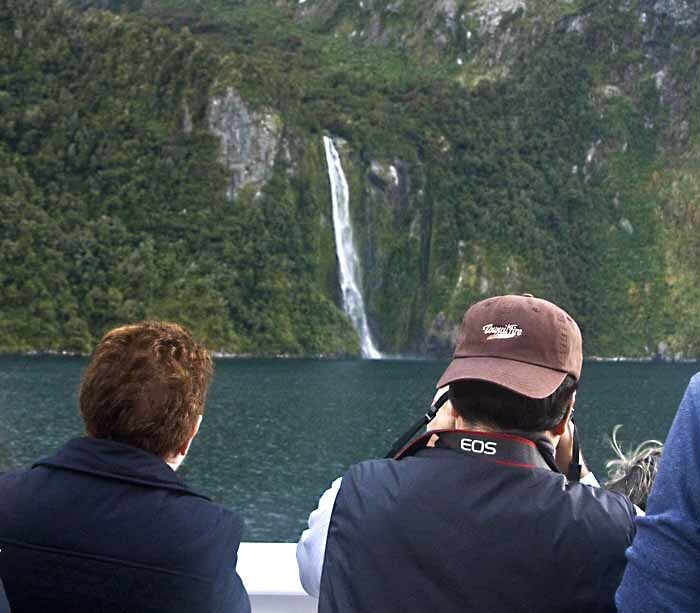 Milford Sound runs inland from the Tasmanian Sea about fifteen kilometers and is enclosed by sheer rock cliffs that are nearly 4,000 feet high. "The Elephant" is the highest peak and is nearly five thousand feet high. Snow and glaciers rim the highest points even in New Zealand's summer. Lush rain forests and waterfalls are everywhere and the air is full of bird calls. A wide variety of marine animals live in the waters of the sound and during our visit we actually got a glimpse of a pod of miniature dolphins.